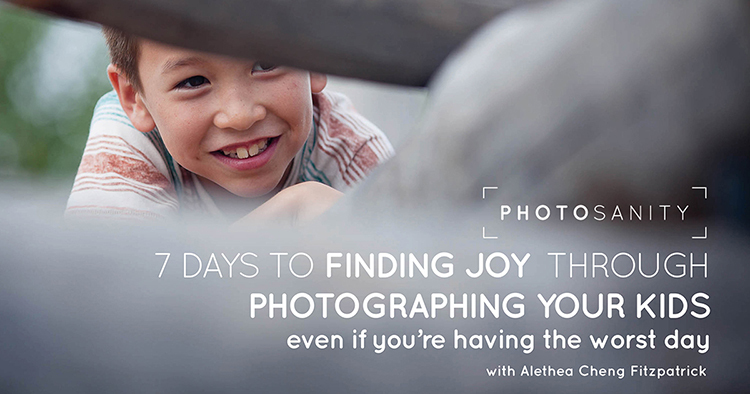 Hi, I'm Alethea Cheng Fitzpatrick, and I'm a family photographer turned photography coach for parents. I help parents take better photos of their kids - and feel better about their role as parents in the process. What I’ve found in working with hundreds of parents is that most parents don’t want to become professional photographers. And most photography courses do not cater to their needs. Even those that are specifically for parents still focus primarily on teaching photography, leaving it up to the parents to integrate the information into their busy lives. I take a different approach, and my clients have told me it is life changing. I focus on showing parents how to use photography to support their parenting experience - to help them create the experiences they want for their families as parents and capture the moments that truly matter. I show parents that when you focus on how it feels, not how it looks, you can find confidence and joy daily through photographing your kids. Get started on your journey to Photosanity today.